Hello all my wild valentines! First you need a texture. Where to get it from? 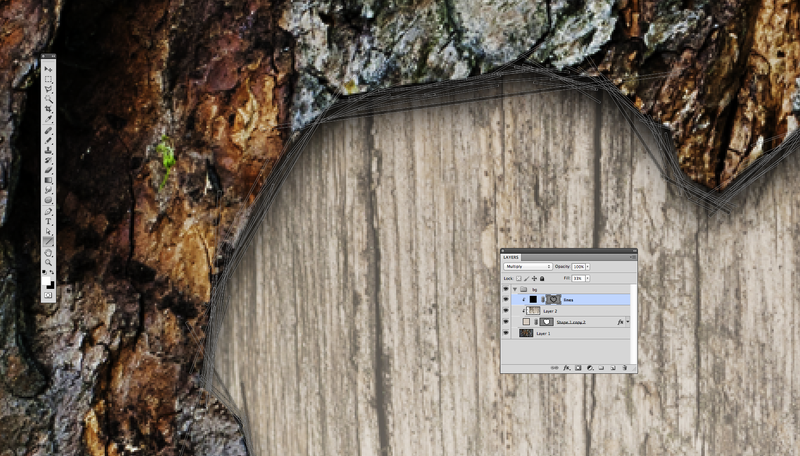 From wildtextures for example 🙂 It’s free 🙂 – Here’s a texture of bark we are talking about. When your ready, create new document, and texture as a background. 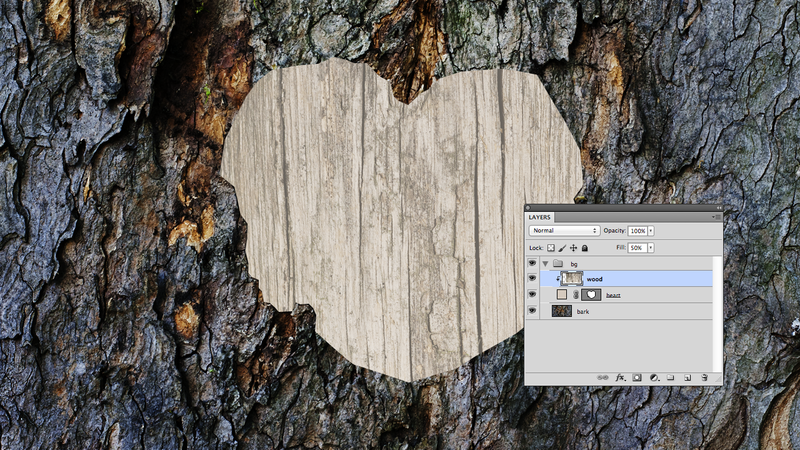 Take Pen Tool [P], and draw simple – point to point shape, that looks like a heart. 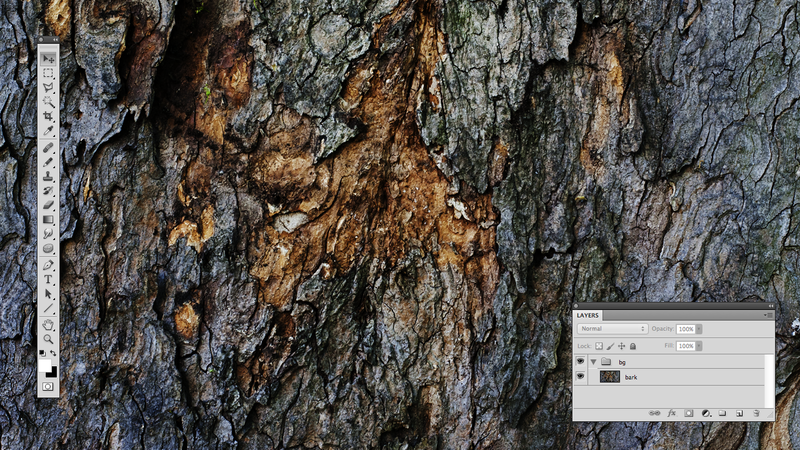 Try to imagine you are actually cutting that bark, how does it behave? It creates sharp edges rather than round. Give it a try, you can even try to find a path on bark, that would probably crack naturaly. What’s under the bark? Wood obviously. Where to find a texture for it? Yes, you guessed it 🙂 – here. 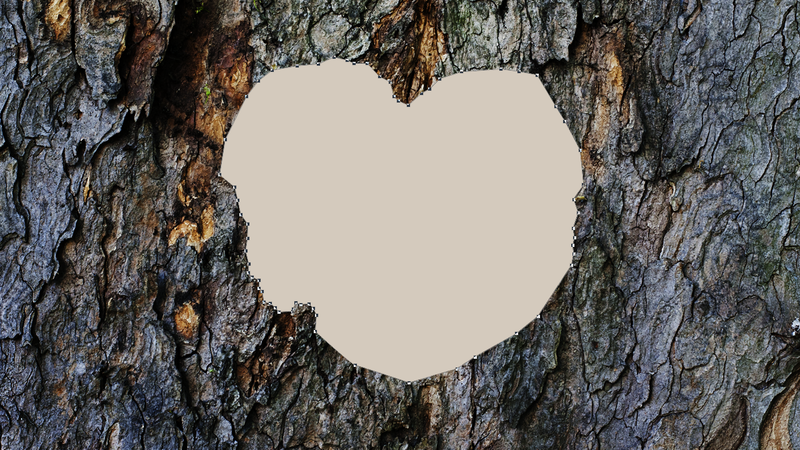 Place it over heart shape. 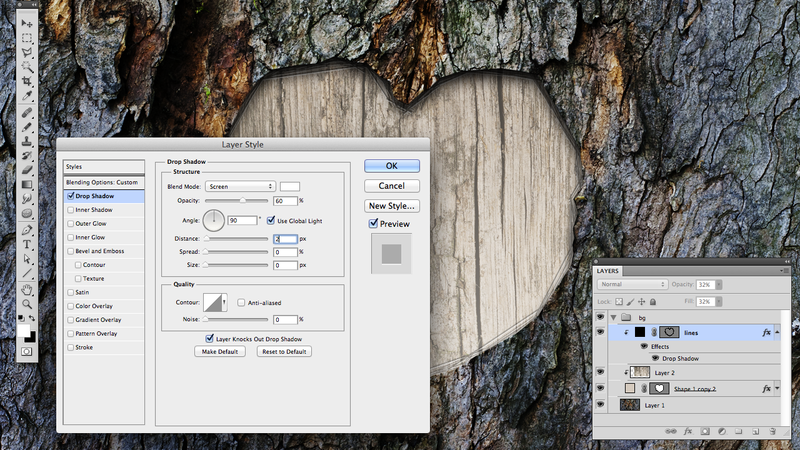 Rotate, scale, and create clipping group with heart shape. (alt + click between two layers on the layers palette). Set fill for this texture to about 50%. Gradient overlay… I encourage You to experiment with all effects until you are happy with end result. One last detail i can think about, are those little grooves that would come if you cut this by knife. Simply take a line tool, and draw some black lines around heart. To draw all lines one the same layer, first one has to be drawn as “shape”, and every other as path on the same layer. But it will still work, when you draw every line as a new shape. Set lines fill to about 35%. 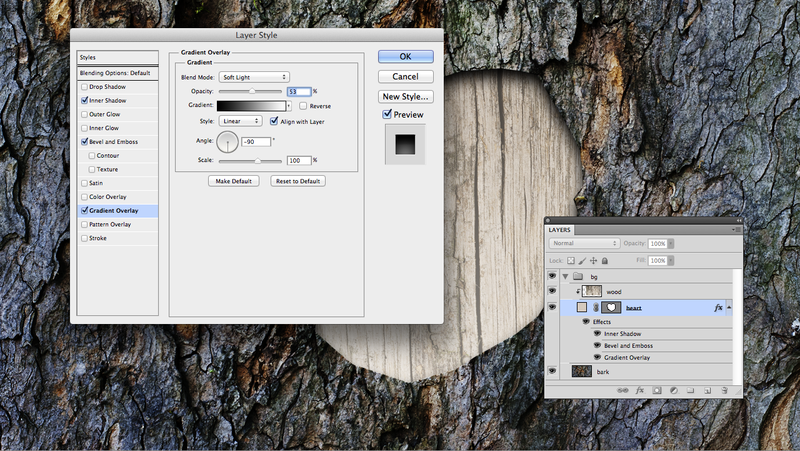 Add some white shadow, to create simple inset effect.